Offshore oil platforms have an immense presence, physically, financially, and environmentally. Some 6,000 rigs pump petroleum and natural gas worldwide. But as they extract hydrocarbons from deep beneath the sea, these structures undergo a transformation invisible from above the waves. 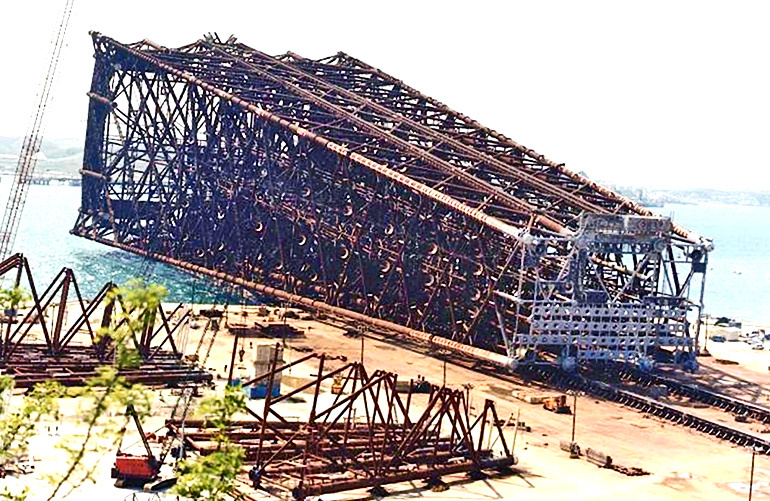 The ocean claims the platforms’ enormous substructures and converts them into vertical reefs, home to millions of individual plants and animals. While decommissioning a platform is a tall order, a growing number have found new purpose as human-made reefs. In addition to assembling information from across a large corpus of work, the scientists hope the study will help inform California residents and policymakers as they decide what to do with platforms slated for retirement off its coast. “California citizens are going to have to make decisions about the continued existence of vast marine life under the platforms, and they should be informed decisions,” says lead author Ann Scarborough Bull, a researcher at the University of California, Santa Barbara’s Marine Science Institute. This issue will return time and again across the world as platforms age and existing oil fields wind down production. In 2017, organizers of an industry summit on oil well decommissioning invited Scarborough Bull to speak on the science behind transitioning platforms into permanent reefs. At the time, she found that literature on the topic was rudimentary and fragmented. Bull decided to compile the scattered information into a seminal article, to which she added the results of her own extensive research. “As far as we know, the paper is the first of its kind,” says coauthor Milton Love, a research biologist, also at MSI. There’s little doubt that the petroleum coming from these platforms has a negative impact on the environment. And the possibility for destructive oil spills always exists when oil production and water mix. The risks may be minimized if the work is done properly, but the consequences of an accident are still quite high. However, these hulking structures, rising hundreds of feet from the ocean floor, provide a unique habitat. The complex shape of the rig’s support creates a three-dimensional reef for animals to colonize and live near. And the rig’s open construction allows currents to pass through, bringing nutrients. In 2014, Scarborough Bull and Love collaborated with colleagues at Occidental College to assess the biological productivity of oil rigs off the coast of California. Using standard models and metrics, the team compared the platforms to all the other habitats they could find information on. The results of the study were staggering. “Platforms off of California, as far as fish were concerned, were the most productive habitats in the world,” recalls Love. Perspectives on rigs-to-reefs efforts vary across country and ideology. Those with a preservationist mindset want to restore the site to its original condition. The European Union currently follows this policy and all decommissioned platforms in the EU must be removed completely. Meanwhile the practice of reefing old platforms is now routine in the Gulf of Mexico. As of 2016, over 11 percent of decommissioned platforms in the US portion of the gulf became permanent reefs, according to Scarborough Bull. 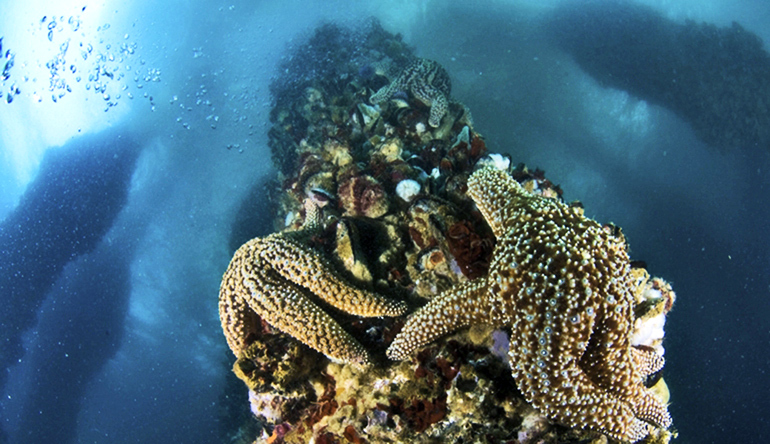 The region currently has over 500 rig-reefs, not including those that are still part of active platforms. The oil companies stand to benefit from reefing old platforms, but some conservationists, fishers, and state governments have also found reason to support this trend. Decommissioning a platform typically involves its complete removal from the seafloor, then hauling it away for disposal or scrap. It’s a pricy proposition. The most recent estimate for removing all platforms off of the California coast totals $8 billion, Scarborough Bull says. Modifying the platforms to serve as permanent reefs cuts these costs significantly, especially those associated with hauling, cleaning, and disposing of the support structure on shore, which will have thousands of tons of sea-life clinging to it by the time it reaches retirement. To convert the lower portion of the platform into a permanent reef, the structure must be free of any hydrocarbons or other hazardous materials described in any federal, state, or local law, ordinance, rule, regulation, order, decree, or requirement. Yet this is still a far cheaper venture than total removal. And the savings don’t merely benefit the oil company, which foots 100 percent of the decommissioning cost. Coastal states that have rigs-to-reefs laws require that the company share with the state a portion of the money it will save if a platform is reefed rather than removed; often 50 percent of the cost savings, explains Scarborough Bull. The paper appears in the journal Ocean and Coastal Management.